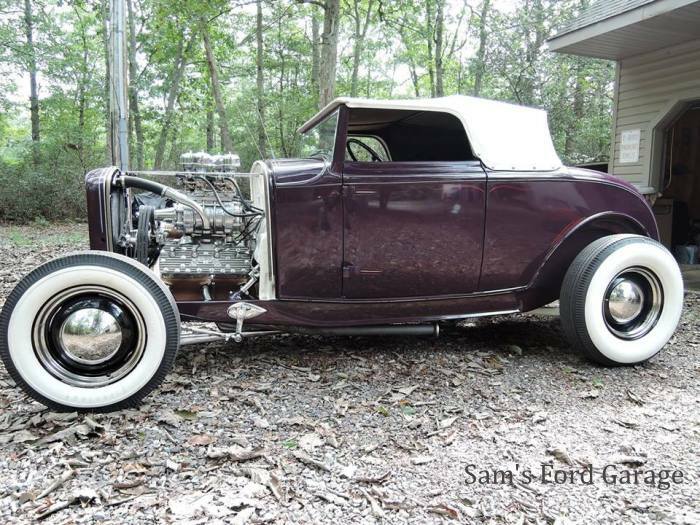 This 1932 Ford Cabriolet was built and owned buy Steve Centracchio at Diamond Auto Body in Agawam MA in 1980. 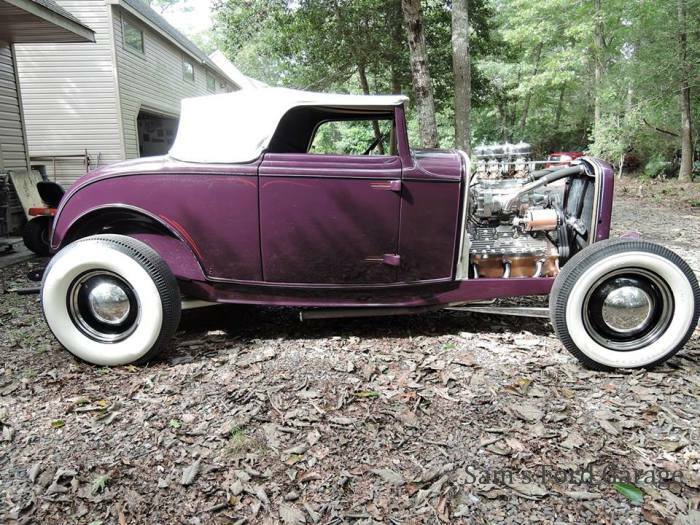 The channeled 32 ford body came from Mark Conforth of Lafayette , New Jersey. Then Steve sold the car 5 years ago to Brian Cannon of Hackettstown, New Jersey. We recently purchased it from him. 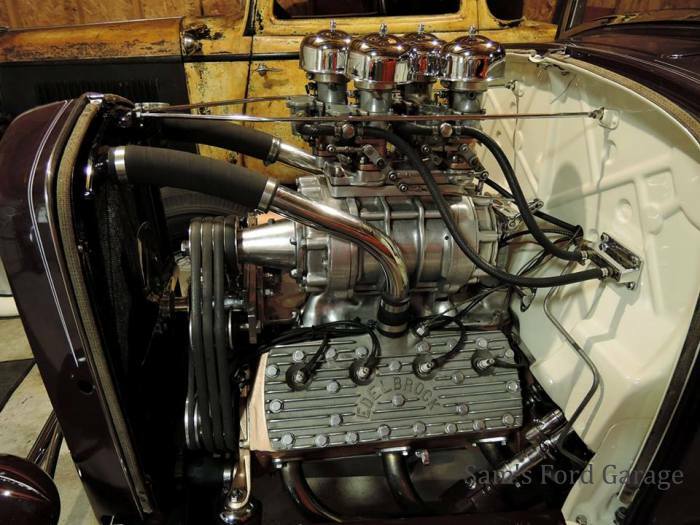 1940 Ford 3 speed trans to torque tube , 1940 Ford rear with 201 Halibrand quick change, chrome front and rear break drums with painted centers, chrome front drop axle with pained center, chrome 32 wishbone, chrome front spring, chrome steering components, chrome inlaid front and rear spreader bars, stock 32 tank, chrome headlight bar, pinstriped by Ed Roth at the first Lead East show. CHOPPED WINDSHIELD. Carson style one piece lift off top. PIERCE ARROW DASH. 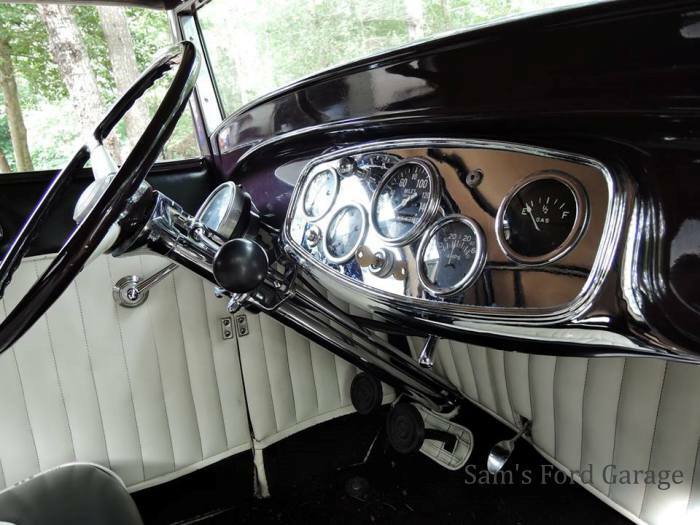 40 FORD CHROME STEERING COL. ,COL SHIFT AND STEERING WHEEL. 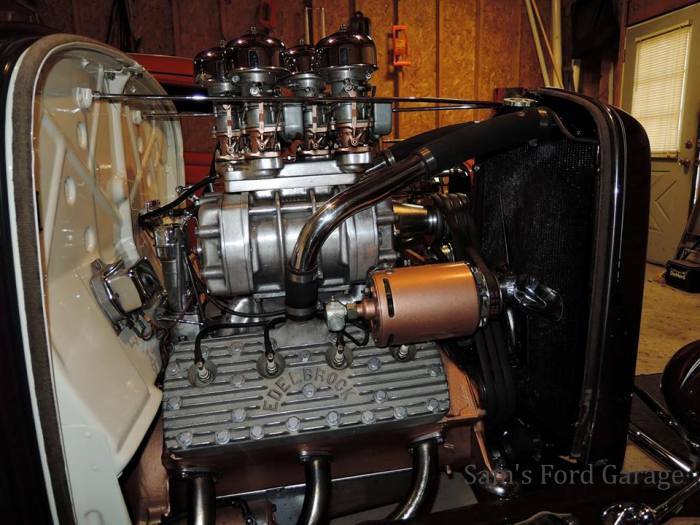 Super charged 297 flathead chrome oil pan Edelbrock heads, early unidentified blower manifold, pruned 4-71 blower, Crager blower snout, 3 belt drive pulleys, 4 carb blower manifold, 4 Stromberg 97 carbs, chrome mechanical fan, generator driven tach drive. 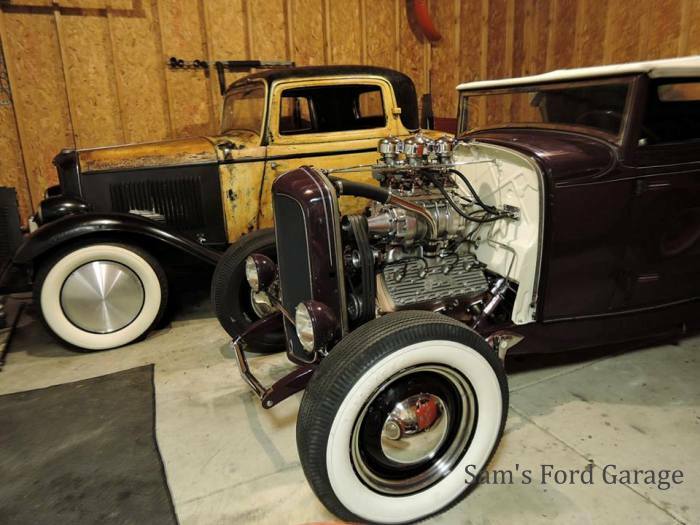 OUR 1932 CABRIOLET NEXT TO OUR THREE WINDOW COUPE . 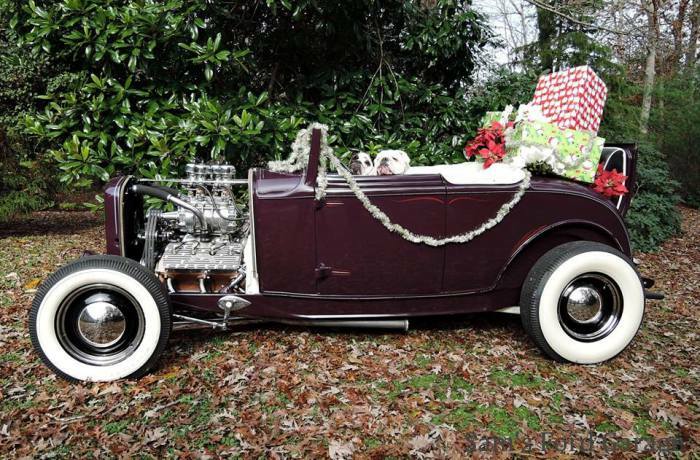 BETTY BOOP AND GUS IN THE CABRIOLET. 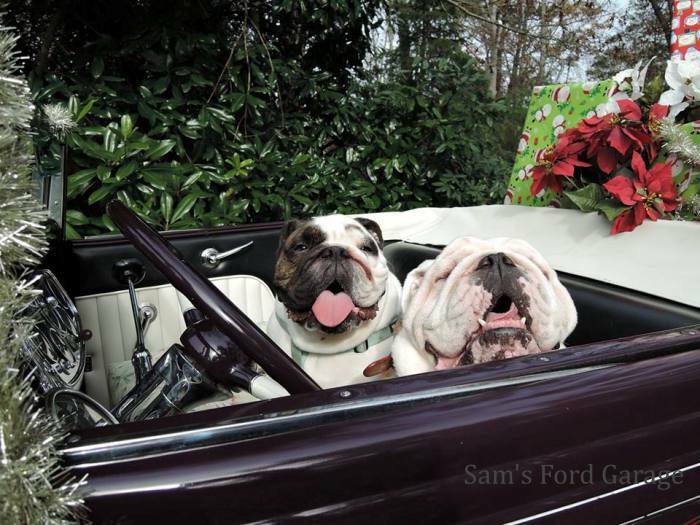 BETTY AND GUS ARE READY FOR CHRISTMAS AND FOR A RIDE. All images are Copyright © Sam Baker 2018- Eternity. Please do not copy or use images without permission.